Last week, I suggested seeking out an expert and imitating their systems. A Virtual Mentor. Last week’s focus was on financial and (business-minded) systems. No doubt that having a financial mentor or system is necessary in order to live a rich life, but today I want to focus on the ‘other’. As wives, mothers, and women we have more on our minds that just money. How to make it, how to keep it, how to invest it, how to spend it wisely. No, as women, we want more from our lives than just financial success. We want a happy life, with good solid relationships we can rely upon. And we’d like it all to be neat, tidy, and organized, thank you very much. What I have discovered about myself is that I can do anything and accomplish any feat when I have a system. Trying to lose weight? Get a system. Clean and organize the house? Get a system. Putting your finances in order? Get a system! Over the course of the last 20 years I have done them all and I am happy to say that as long as I find a system that works for me, and I work that system, great strides have been met, and most importantly, maintained. Below is a list of some of my favorite non-financial virtual mentors. I found FLY Lady – an acronym for Finally Loving Yourself – years ago as a young mom with a child in elementary school. I was working full time, was a full time wife and mother, the classroom head parent all 7 years, and oh, yeah, I also needed to keep the home clean and dinner on the table, and let’s not forget homework and the household paperwork and financial goals. 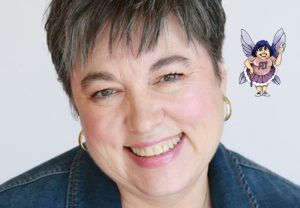 The FLY lady is a home organization website and coach who focuses on helping you eliminate the chaos in your home, one baby step at at time. She teaches you to eliminate your clutter and establish simple routines for getting your home clean. All of my best tools come from her. Set a timer, work for 15 minutes. Race against the clock – see just how much you can get done. After that, if that’s all you had in you for the day, you can rest easy that you’ve put in the work for the day. Likely, you will be energized and ready to get going again after your 15 minute break. Shine your kitchen sink. Her clean kitchen, and tidy home centers all around a clean, shiny, empty kitchen sink. I know it sounds basic, but if you are a mom, or even if you have people (including yourself) living in your house, you know how big this task can be. Her whole point is to find one thing that you can focus on, one thing that you can tackle, and handle that. You build as you go. After you master the 15 minutes of tidying up and the clean sink you can add on daily routines and a control journal. There are also daily challenges. The system can get intense, so take it at your own pace and remember the whole point is to love yourself. Love yourself enough to offer yourself a clean shiny sink to wake up to, an organized house to come home to, a bed that has been made. If you think that sounds ridiculously simple, consider this: bed making is one of the key habits that can make the most difference in overall happiness. Tim Ferris is a bed-making convert. He admits to thinking, “How much difference can this really make?” But after trying out the new habit, he has changed his stance and now lists it in his morning routine. 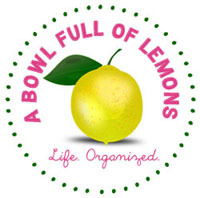 I love A Bowl Full of Lemons’ home organization! I used her keepsake boxes system when I was gathering all of the pictures, school papers, and awards in preparation for my daughter’s high school graduation – and I wished I would have started the keepsake box when our kids were young and she was in Kindergarten. If you have grade school aged kids, or better yet, kids entering school, do yourself a favor and get over there to grab her system for keepsake boxes. It also makes a great gift for someone whose child is beginning kindergarten this year. I also used her color-coded filing system while cleaning up the large file cabinet in the basement; uncovering years’ worth of papers stashed in a file box for “some day”. She offers so many home organizational projects. If you’ve ever been on pinterest, you have likely seen her bright, organized, cheerful projects. Click and pin, people. Click and pin. 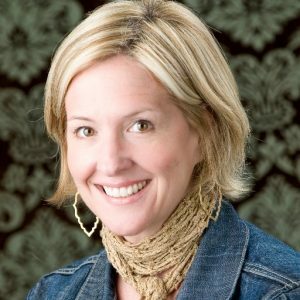 Brené Brown’s work has really made an impact on my life. This simple quote blew my mind and stopped me in my tracks.Thanks to her research I added art classes into my evening rotation. Something so magical about having an evening activity to look forward to that is not the same old thing. More than that, going inside of yourself to let yourself play and create something that was not there before. I had always told myself that I am not a creative person, I’m not an artist. I’m not good a drawing. I’m not good at (fill in the blank). Brené talks about the research and her breakdown spiritual awakening in one of her TedX talks. I can’t explain what the shift in my life has been exactly, but when I added in art and creativity, as in me creating something, I became more and more confident, more and more courageous, more and more interested in trying new things. Had I not started down that path, I would not have created this blog. I would not be putting myself in the arena. More importantly, her research has shaped the way I look at my personal relationships and how I interact with my loved ones. Especially my husband and my children. Opening my eyes to shame, the power of the sense of belonging, and worthiness. Read the Wholehearted Parenting Manifesto for more. Search you tube for video clips and listen to the power of her words, her storytelling in conversation, read the research in her books. See what resonates with you – what breaks free inside of you and is unleashed. 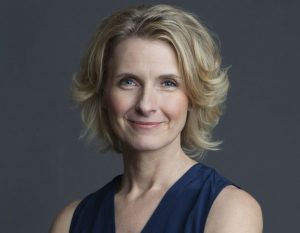 You may know the name Elizabeth Gilbert from her first best seller, Eat Pray Love. I read that and loved it for it’s entertainment value, was fascinated by her courageousness and individualism to strike out on her own and travel the world in search of finding herself. It was a fabulous read, but just so far outside of what I could ever see myself doing. Fast forward several years and I see her Ted talks, and am electrified by her theory on elusive genius. I listen to everything I can find on her talking about her book Big Magic. I listen to her podcast where she encourages women to take on their passion projects, asking them questions that lead them to their own visions for their projects, pairing them with a successful artist in their desired field. Her work has really stirred a longing in me to not only follow my curiosity, but to act on it. To make those fleeting ideas in my mind come out of the shadows and work them out into the world. 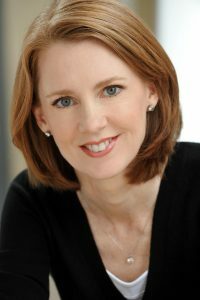 Gretchen Rubin, the champion of happy, the expert on habits that create little bits of happiness for yourself day by day. What’s not to love about her research on becoming a little happier, The Happiness Project, her Happier Podcast which feature talks between her and her sister Elizabeth? I bought her Happiness Journal en mass for myself and the people in my life this year. Myself, my daughter, my sisters, my mom, my closest friends. It’s a journal unlike any I have ever come across – for each day of the year there is a space to record one sentence of a bit of happiness in your world. Just one sentence – totally doable! Las year, I used the joy jar to do something very similar. I’m excited for this method because I can look back over the years and receive happiness from not only today’s highs, but from those happy moments in the past. Happiness multiplied! Not only my own, but all the people around me. I love it. In her bestselling book The Happiness Project, Gretchen Rubin discovers the pleasure of writing just one sentence every day. The Happiness Project One-Sentence Journal helps you to make a fascinating and revealing time capsule of the next five years of your life. Simply turn to today’s date, reflect on the quote at the top of the page, and jot down just one sentence (perhaps about something good that happened that day). This daily ritual is highly do-able and provides a striking sense of accomplishment, and as the years go by you can see how your entries evolve. Chase Jarvis is a force to be reckoned with in the art world. He is the creator of Creative Live, an art community online with over 1,500 curated online courses in photography, graphic design, craft & DIY, marketing, business and entrepreneurship. I joined his 30 Days of Genius a couple of years back and whoa! He had interviewed a lot of my favorites mentioned above and introduced me to so many more. So many ideas, so many habits, tips, and routines. I am fascinated with other people, I long for the human connection – and his show delivers. There’s a common misconception that artists have a monopoly on creativity. But the very act of making something – shooting a photograph, designing a product, thinking critically, or building a business – is a creative one. These small actions come from our unique inner impulse to create. 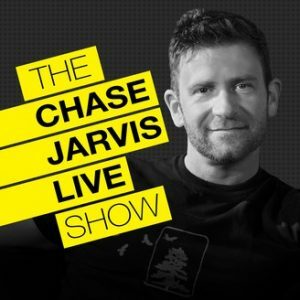 In his podcast, Chase Jarvis LIVE not only does he interview artists, creatives, and makers about their craft, but he also guides his audience to adapt the principles and techniques to follow their own dreams – and does an awesome Q&A. He makes no promises that it will be easy – just that it will be worth it. Chase has a intriguing past – from professional soccer player to a successful med school student to a world famous photographer chasing his own determination to the very edge of the cliff – and then beyond. Choose one habit that you want to focus on. Find a Virtual Mentor that resonates with you. Follow them. Emulate their habits. Retrain your brain. Take out a sheet of paper and jot down as many artistic, creative outlets as you can think of that you have always wished you could do: from pottery to oil paint, playing guitar or piano, writing poetry, embroidering a hand towel, cross stitch, finger painting. Just day dream with me for a moment, if you could do any of these things…what would they be? Now add at least three of them to you calendar in the next three months.